The UK car market is booming as thousands of buyers take advantage of record low rates on finance, lower fuel prices and a glut of new models. As a result, new registrations are at a 10-year high and 2.4 million cars were sold in the UK in 2014, a rise of 10 per cent on 2013. We've crunched the DVLA numbers to find the UK's 10 most popular models and the results will surprise you, because the list doesn't include a single SUVs or crossover. Click through the gallery below to uncover UK's favourite cars of 2015. 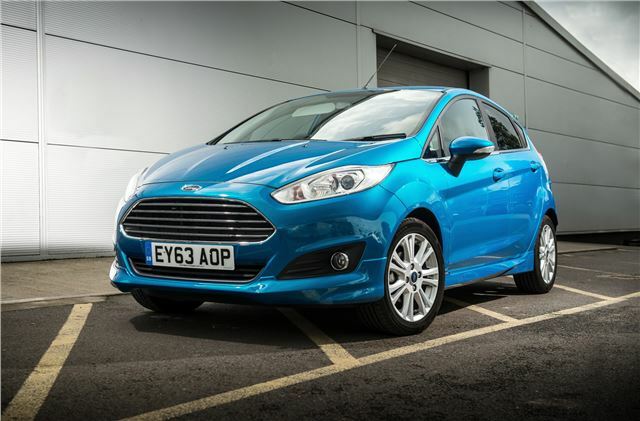 The Ford Fiesta is the most popular car in the UK with close to 1.5 million cars currently registed. Drill into the numbers and you'll discover that most of the 1.5 million cars are from the noughties, with the Mk6 accounting for more than 700,000 of all Fiestas. It doesn't take much effort to understand the love for the little Ford. It's easy to drive, comfortable and economical. The engine range is massive too, spanning everything from frugal 1.0-litre petrols to the pacey ST with its 1.6-litre turbo engine And with prices starting from just £1000 for an MoT'd Mk6, there's quite literally a Fiesta for everyone.